Discover how blocking can make your lace knits really pop! Have you ever browsed through the beautiful lacy knits on LoveKnitting or Pinterest and wonder just how those knitters manage to get the stitches of their lace projects to really pop? Well, the answer to getting a truly pro-finish for lacy stitch knits is to block them. Blocking is the process of using water, or steam, to ease the stitches of the fabric to the correct dimensions, pinning them in place and allowing them to dry and ‘set’ into position. When it comes to lace knits, often worked in finer more delicate fibres, I tend to opt for wet blocking over steam blocking, it can be all to easy to damage the fibres by being a little to over zealous with the steam iron! Wet blocking is, as you might imagine, washing or soaking the knits before pinning out to “set’ or block to the required dimensions. Blocking is usually done once the lace project has been completed, and all the loose ends have been woven in, to make up the finishing of the project. You will often see in the pattern instructions the measurements of the blocked item, this is a great way to know just how much you need to block – stretch and pin out – your work. Blocking is also a great way to refresh hand knit items that have been packed away or frequently worn and are starting to loose their shape. This step-by-step guide will walk you through wash blocking lace knits – whether they fresh off the needles or an old favourite in need on an instant refresh! Gentle laundry detergent – I really adore Soak wash for hand knits, it is ideal for even your most prized hand knits. 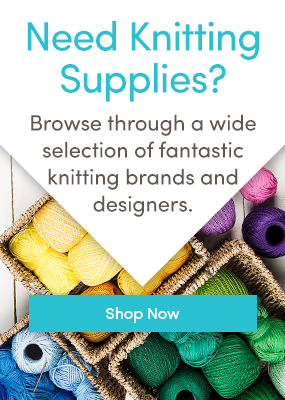 Blocking boards – These lightweight Knit Pro blocking boards can be fixed together to create any shape you desire, and packed up neatly for easy storage between uses. Blocking Pins – These super sharp blocking pins feature a neat bend in the shaft allowing them to be fully secured into the board to hold the knitting firmly. Your finished lace knitting project. Fill the sink or basin with warm water and just a spot of gentle detergent, you may need to agitate the water to distribute the detergent fully. Add the knitwear and very gently agitate the knits – be sure not to be too heavy handed as this can damage the delicate fibres or even cause felting in some cases. If you are blocking a number of pieces at a time, consider soaking the knits separately to prevent any colour bleed damaging the yarns of lighter projects. Depending on the detergent you are using, rinse if required and gently press the water out. It is tempting to wring out the water from the knits, but this is a surefire way to cause serious damage, alternative gently fold into a soft hand towel and press to remove the excess water. On to a large flat surface – preferably one where the knits can be left undisturbed until the blocking is complete – set out the blocking boards to cover the desired area. With the knitting unfolded from the towel, lay out onto the blocking boards. Smooth out the extremities and pin at the farthest points. If you have a pattern, check the finished measurements to ensure that these sections are pinned correctly. After the furthest points of the items have been safely pinned to the boards, begin working along the outline of the entire project. Start by spacing the pins out along each length ensuring that the pins are drawing out the item to the correct measurements. Once the basic shape has been pinned start adding more pins to fully draw out the piece. Continue smoothing and pinning the knitted piece and you will begin to see the fancy lace stitching becoming more defined and prominent. Be sure to focus on any decorative edgings like scallops or picots, using the pins to draw them out fully. You can keep on moving the pins, smoothing out the knitted fabric and repinning until you are happy with the overall shaping and measurements of the piece. The piece will now need to be left to dry, thus securing the blocked stitches, depending on the ambient temperature, thickness of the yarns and residual water in the piece this can take a couple of days, you may need to keep checking back to see how the piece is progressing. Before leaving my knits to block I like to give them one last look over, checking that nothing is pinned wonky and that any measurements are accurate and neat. The knits are considered blocked once they are fully dried and not before, it might be tempting to unpin them while they are still slightly damp, but unfortunately this means that they will gradually draw inwards as they dry and will again loose their shape. Carefully unpin the design from the boards, the pins should be fully dry, but you can always give them a wipe over before packing away to boost their longevity. Once unpinned your fully blocked piece is ready to wear – enjoy! Laura Strutt Laura loves to knit, crochet and sew, she believes her dog, Waffle, is the most handsome dog on Instagram and hopes to one day be in a Ukulele band with her husband. Last updated: August 1st, 2017. Lovely knit, but I would have liked to see you insert blocking wires. I try to weave mine through the outer stitches, but am not sure that I am doing this the best way. Knitted items don’t “loose” their shape, they LOSE it! Carol what gives you the right to criticizes someone’s spelling? Maybe it was an error by auto correct. Perhaps instead of total immersion for your lace projects, spritzing should be suggested as an alternative method of blocking, especially for blended yarns containing components that either have poor memory or break especially easily. And when not such about the method to employ spritzing is the safest; the degree of moisture applied can always be adjusted from to light to heavier depending on the pattern and fabric. Just a thought. Perhaps instead of total immersion for your lace projects, spritzing should be suggested as an alternative method of blocking, especially for blended yarns containing components that either have poor memory or break especially easily. And when not sure about the method to employ, spritzing is the safest choice; the degree of moisture applied can always be adjusted from to light to heavier depending on the pattern and fabric. Just a thought. Perhaps instead of total immersion for your lace projects, spritzing should be suggested as an alternative method of blocking, especially for blended yarns containing components that either have poor memory or break especially easily. And when not sure about the method to employ, spritzing is the safest choice; the degree of moisture applied can always be adjusted from light to heavier depending on the pattern and fabric. Just a thought. Sorry for the triple entry!! Hi, thanks for the information. Do you have to block the knitting each time you wash it? Same as Eleonora, do your have to block your knitting ie. sweaters or cardigan everytime you wash them?